Scientists and meteorologists are stunned at the result of scientific studies: warming and ice melting in the <?xml:namespace prefix = st1 />Arctic has been twice as fast as the rest of the globe over the last fifty years. 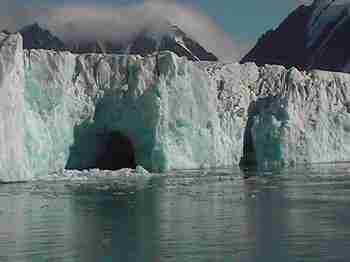 The ice sea has shrunk by 20 % in summer and 8 % annually in winter over the past three decades. (the total loss is as big as Texas and Arizona combined). Snow on land has decreased by about 10 % and temperature during the winter has risen as much as 5 to 7 degrees in Alaska and eastern Canada. They predict alarming development: Temperature could still rise further 13 degrees. The sea-level could climb and flood low areas. It’s already happened in the north of Alaska. There will be appalling repercussions. 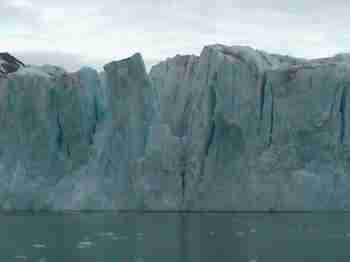 As protective ice disappears, coastal erosion will increase, damaging the Inuit habitats in Greenland. The permafrost which begins melting underneath the tundra will destabilize the ground. damaging minings and oil drillings. 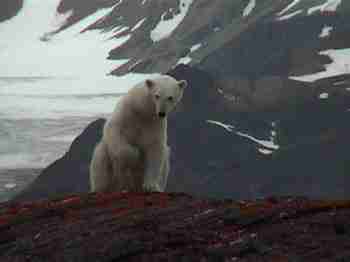 On sea two main species are expected to be on the brink of extinction: seals and white polar bears. The first one: the seal. 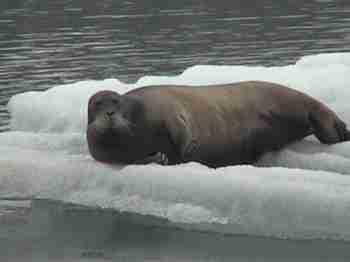 The female gives birth on the sea floe which is shrinking. Nowadays this phenomenon contributes to reduce the number of seals considerably. The second one: the magnificent fearsome, predator, starving white polar bear that roams his icy kingdom, stalking his favourite prey :the seal. The migratory birds could be prevented from nesting. Their population could dwindle as much as 50 % by the year 2100. The Arctic population relying on fish, seals, caribous for food and trade will be obliged to change their way of life. In summer this massive reduction of the sea floe between the northern coasts of Russia and Canada would open new shipping lanes. Some basic crops could grow such as barley, alfalfa. Exercise: Answer the questions by choosing the right words. 7. Is the polar bear like a big cuddly toy or a twicebarleythe permafrostAlaskawrongon the brink of extinctionshipping lanesfearsomenestingoil drillingI don't know predator ? 8. 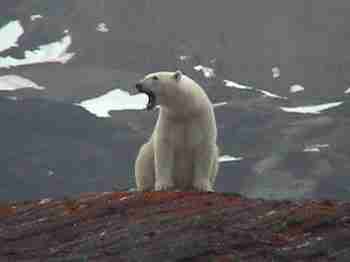 Are seals and white bears in great number or on the brink of extinctiontwicewrongoil drillingAlaskashipping lanesthe permafrostnestingfearsomebarleyI don't know ?